Defining Greatness in Coaching | Leadership. Locomotion. Life. Defining Greatness in Coaching – Leadership. Locomotion. Life. Lately, everywhere I turn the topic of character shows up. Recently I taught a class on character in the Coaching & Leadership for Performance course at SMU. Coaches at all levels talk about it and by the time students are in college all they hear is blah blah blah, character, blah blah blah sense of community and family, blah blah teamwork. That same week, the Provost gave each faculty member a copy of David Brooks’ book, The Road to Character. Then as I watched the latest Super Bowl between the Broncos and Panthers, I noticed how some players responded to the outcome of the game with character and honor while others did not. As I continue to listen to the presidential debates for the upcoming election, I wonder how important it is to each candidate for our nation to be one of high character. In contemplating the sheer importance of character, I wonder why people have stopped listening? But then it’s clear – many coaches know how to talk the talk but don’t know how to walk the walk. 1. Without a moral compass, the emphasis on winning becomes obnoxious and unhealthy. Coaches are constantly balancing the objectives of winning, developing people, and having fun. The pitfall of placing too much emphasis on winning often results in either burnout or a general dissatisfaction. No amount of winning is enough for these coaches. The confusing part is that despite the inner struggle or lack of fulfillment, the adoration and/or money received from the outside world for continuing to improve a win-loss percentage makes it difficult to shift the emphasis back to balanced. With all the focus on winning, somehow we have lost the sense of having fun and instead have replaced it with “hard work”. Then, we work so hard that it’s just not fun anymore. We need to be conscious to infuse fun back in to the mix of things. A win-at-all-cost mentality produces superficial monsters. The win is ultimately the only thing that matters to these people and they will do anything to get it – including harming others in their way and/or bending rules. The social, physical, and psychological development of coaches and their athletes take a backseat to the priority of winning. Students start cheating their way to a degree, workers lie their way to a promotion, and athletes use performance enhancing drugs to elicit wins. Win or lose, coaches with high character recognize the implications of their actions and are conscious to respond appropriately with honorable behavior. Coaches with moral strength and integrity identify with Arthur Calwell’s assertion that “It is better to be defeated on principle than to win on lies”. Truly, these coaches believe there are wins more significant than can be found in a race or on the fields and courts of competition. 2. Coaches of character create “friend energy” not “fan energy”. I love one of John Maxwell’s blog posts that considers the question, “Do you want to have fans, or friends?” Coaches focused on character don’t care about impressing others or showing off as they are too concerned with connecting with others to influence their growth and development. These coaches understand that their current behavior is influencing the future behavior of the people they are coaching. Egomaniacal coaches are likely to produce fans of those they lead. Relationships are not mutual and typically do not last. It doesn’t matter if the coaching style is autocratic or democratic, emotionally close or emotionally distant; the actions of these coaches are ultimately self-serving. Notice I said friend “energy”, not friends. The goal at the end of the day is not to make friends with your athletes but to move the needle forward. HOW you go about moving the needle forward matters. Your ability to communicate in a caring manner greatly affects relationships and the results you do or don’t get. The energy you use to carry out your daily interactions with those you coach reveals the heart of your character. 3. Because we need more human beings that ADD TO society, not TAKE AWAY from it. As a coach in a position of power and authority, people look up to you and look to you for guidance and direction. There is an inherent responsibility that comes with the great privilege of being a coach. Once you step into a leadership position you soon realize that society’s problems become your problems. Especially for youth coaches, it is well-known that character education helps to fight against violence, drugs, theft, abuse, peer cruelty, etc. We know this all too well in professional sports too, as the media is quick to report athletes’ unbecoming and unlawful behavior. So basically, a coach’s job is to get others to shine. That’s the task. You cannot assume that anyone you coach knows what the principles of character are. You have to identify these principles. Then teach them. The effort is more than worth it as traits like grit, self-discipline, and passion usually accompany those with high character. Becky Burleigh, head women’s soccer coach at the University of Florida, wonderfully illustrates what the commitment looks like to build a culture of high character people. In this video, you will see an amazing demonstration team character in action. 4. Your credibility depends on it. What you say and what you teach are a small part of what others actually remember of you. Your wins and any other short-lived successes are also likely to be forgotten. Rather, it’s the way you live your life, and how you go about it in the smallest of details — this is the strongest message that you send to those you lead. The trail you leave behind is largely determined by your character. In order to be an effective teacher of the distinctions of character, it must be something you live. Once others SEE your commitment through your actions, you gain massive credibility with your audience. Dr. Greg Dale, a Professor of Sport Psychology and Sport Ethics at Duke University, authored The Seven C’s of Coaching Credibility where he listed desired characteristics of the most credible coaches. While the list of seven characteristics are great, I most appreciate the poem from Linda Ellis called “the Dash” which Dr. Dale and a colleague adapted especially for coaches. I urge you to read it. 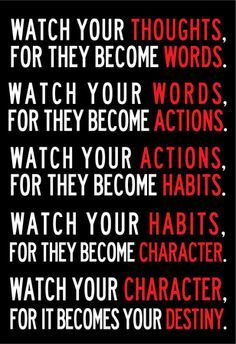 Your character shapes your destiny, as I am reminded in the below quote by Frank Outlaw (also seen as attributed to Lao Tzu). As a coach and leader of others, you have the responsibility and great honor of guiding others to their destinies. 5. Because the world needs more humility and self-discipline in it. It is possible to win and remain humble. Of course there will be those who win and act in a haughty manner, blow their own trumpets, and draw unnecessary attention to themselves. Let them be. Virtues like courage, humility, patience and perseverance are in short supply. Coaches who value these virtues can positively impact sport and in turn, the world we live in. Be willing to examine yourself as a person and have the courage to confront your weaknesses as it relates to your character. Others you spend time with, your family and your athletes, see these weaknesses. How you go about your life acknowledging them with grace will give others a sense of your self-awareness and will enroll them in assisting you in your greater mission. Greatness is not found in accumulating wins or trophies, either. If that’s your standard, maybe it’s time to raise it. David Bertrand serves as Director and Clinical Assistant Professor of the Sport Performance Leadership coaching concentration within the Department of Applied Physiology and Wellness at Southern Methodist University. He is a practicing endurance and triathlon coach and is en route to graduate with a doctorate in higher education leadership in May of 2018. 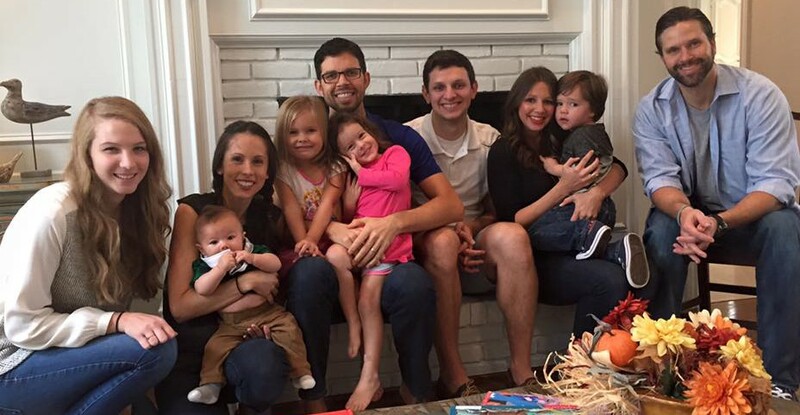 David lives in Dallas with his wife, Nikki, and their three children, Annie, Tessa, and John David.